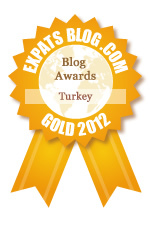 Around our yabancı table, I could tell we were among many Turks who were talking, laughing and having a good time. And so we did too! 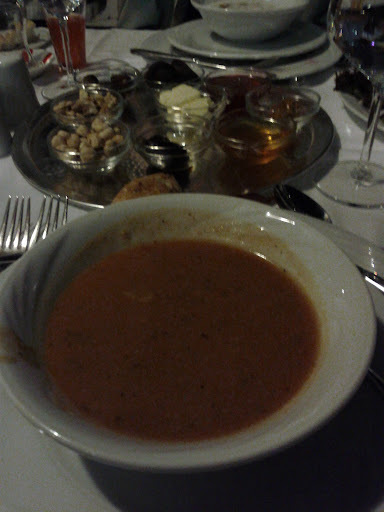 The photo (from my cell phone) depicts one of the many courses we had as part of the special menu - "baslangiclar corba" - a type of hot, dried fruit and tomato soup dating back to the 15th century.